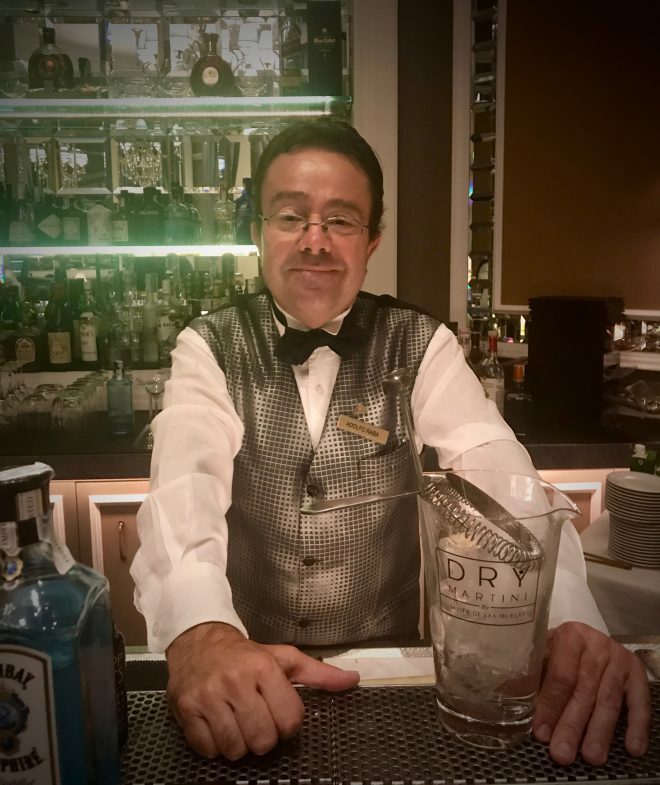 I’ve worked here as a bartender for the last 30 years because for me the most important part of being a bartender is about service and in a hotel like this, service is our top priority. That’s actually why I have only worked in hotels, even when I lived in Marbella. For a long time the bar here had an English bar concept, but five years ago they decided to focus more on cocktails because it was part of the Luxurious Collection brand. For us as bartenders, it became even more interesting to work here because it raised the bar and improved our game. So now you not only buy a cocktail, but you buy an experience and a sensation too. I have always wanted to work in a bar like this, but personally I would like to create a Polynesian or Maori style bar. A tiki bar on the beach with the same philosophy as here and a high level of service. Since I was a kid, I loved the Polynesian and Maori cultures and would love to create a bar inspired by these people and their traditions. I would prefer a small bar for around 20 people and of course there would be food… a mix of local and Basque pintxos. In winter, I am a ski instructor in the Pyrenees. Otherwise, I love sports like running or swimming with my daughter. I also go to bars and restaurants to improve myself with regards to my job. My favourite spirit is gin, because in San Sebastien there are a lot of different types of gin, so you can make so many different cocktails with the same spirit: dry, herbal, floral etc. A dry martini can taste totally different related to the brand of gin you use. My favourite gin brand right now is Monkey 47, it’s very different from other gins, it has its own distinctive personality. The most important thing is the glass. You need the right glass for the right cocktail. It’s about evocation, like for tiki cocktails, you need a tiki glass and for a martini you need a martini glass and of course it shoud be ice cold. After that it’s about the quality of ice, because dilution is all about the ice. I love triple sec like Grand Marnier, because it really changes the personality of a white spirit like gin or vodka. You have to go to New York to PDT and King Cole Bar at the Saint Regis Hotel on 5th avenue, where they invented the Red Snapper cocktail. In London go to The Connaught bar for the Dry martini trolley and also visit Artesian.